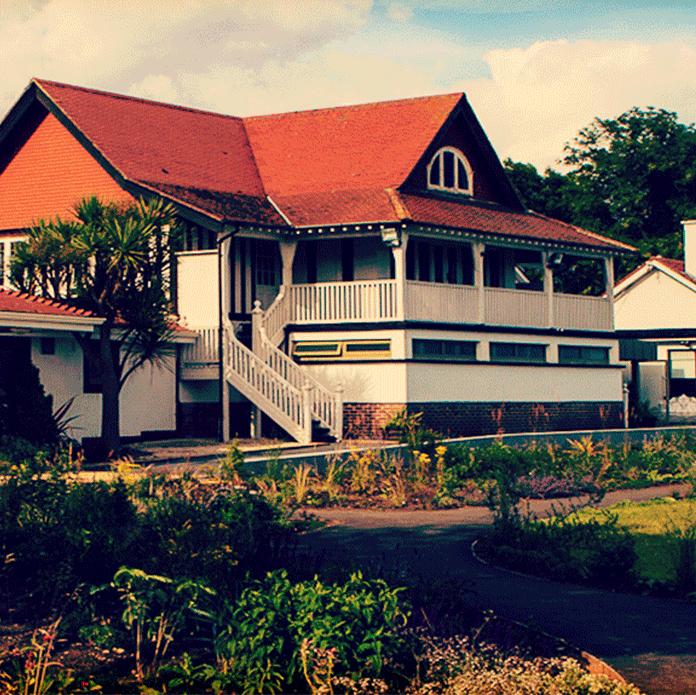 The Woodbrook Golf Club was established in 1921, by Sir Stanley Cochrane as his private club. 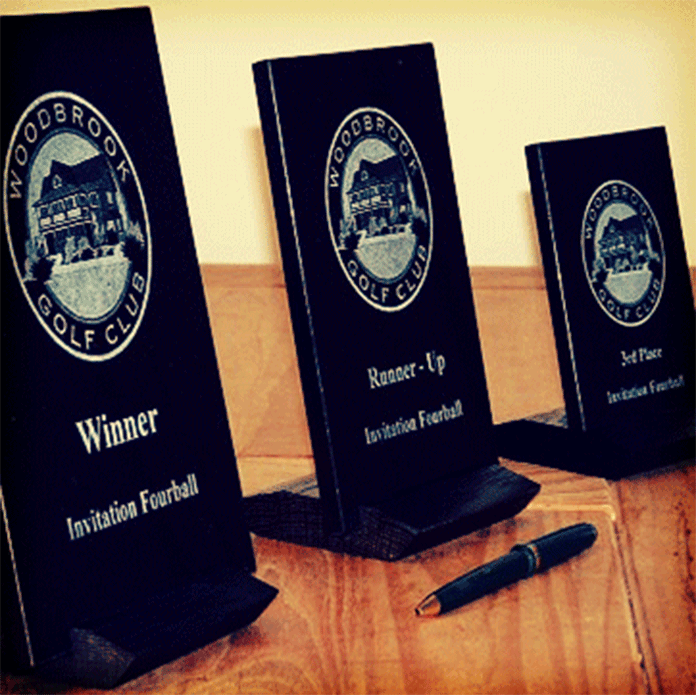 Woodbrook was first affiliated to the Golfing Union of Ireland in 1926. Sir Stanley had previously indulged his enthusiasm for cricket at Woodbrook, a fact that is still reflected in the pavilion-style clubhouse and the cricket bell, which tolled the start and finish of play and now hangs in the bar. In olden days the Dublin-Bray train stopped at the club and in the early days of tournament golf, spectators alighted on the course. Although a flat course, the wind plays a most significant role. When it blows from the North, nine holes are affected, including three out of the last four. When it’s from the South, the tenth plus the par three eleventh, and the par five – 12th, 14th and 16th, all become very difficult long holes. A crosswind from the East affects almost every hole on the course and calls for shot making of the highest calibre. 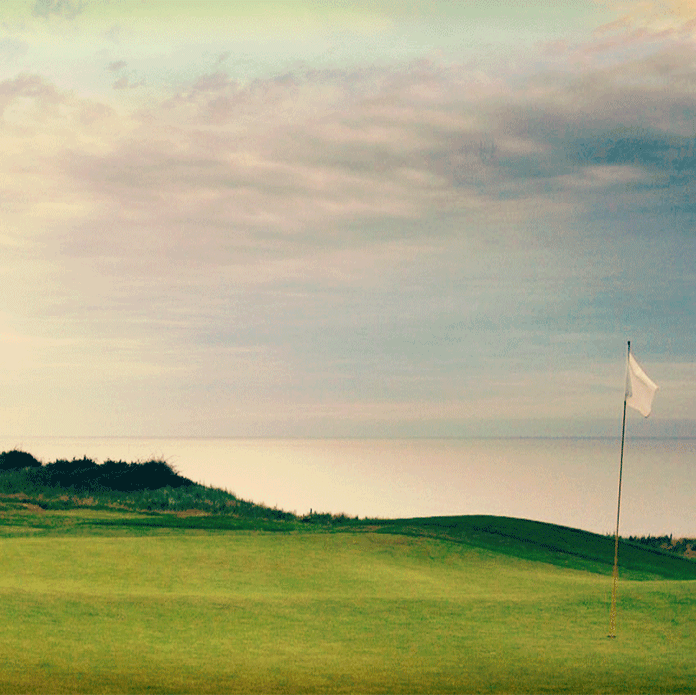 With its configuration of five par threes and five par fives, Woodbrook’s layout is unusual but, in the opinion of those who have played there, it is a championship course in every meaning of the word. Woodbrook is unique in Irish Golf, with its heritage and tradition, ambience and atmosphere, and the quality and layout of its course. For members and visitors alike it represents a challenge to be met weekly or just occasionally, but always enjoyably. In this 75th Anniversary year of the founding of the Club another milestone has been reached. Over the years, many thousands of men, women and youngsters have enjoyed what Woodbrook Golf Club has had to offer and today a membership of more than double the original figure continues to enjoy these facilities. 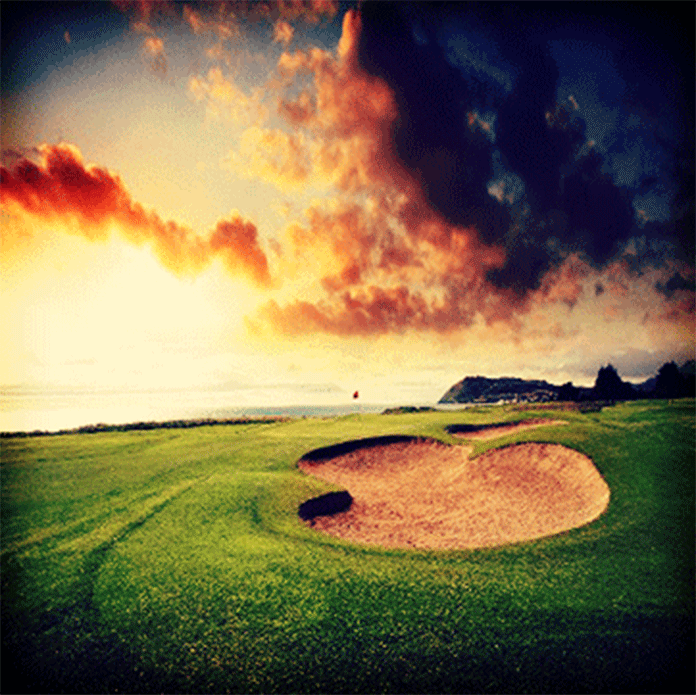 Woodbrook is not just a golf course. It is a place of beauty, an oasis bounded by unrivalled views of the Irish Sea on one side and the blue haze of the Dublin and Wicklow Mountains on the other. If it wasn’t for the DART rattling along between the fairways, tired golfers might succumb to the wafting sea breezes or the heavy pollen scented air that rolls in waves over the greens on summer evenings. Nature has done its bit for Woodbrook, but the club we know and play today exists largely due to the efforts of a myriad of stalwart and far seeing members who were at the helm down through those seventy five years that the club has been in existence. These are the Captains and the Presidents and dedicated officers and committee men and women who did their bit, year after year, to make sure they passed something worthwhile on to future generations of golfers. You only have to glance at the names of these ladies and gentlemen to see that many of them are the fathers and grandfathers of existing members, clearly illustrating a strong tradition of family service to the club. It is interesting to note that the first lease was drawn up during the second year of Captaincy of C.S. Tighe in 1928. It was for 21 years at a rent of £850, when activities were confined to sheep grazing and the playing of golf, tennis, cards and other games . What a pity we got rid of the sheep – if they were still around the rough might be a lot easier! The professional appointed in 1926 was Pat O Connor, and by all accounts the club never had a more dedicated or popular member of staff. He retired forty-two years later in 1968. The former putting green – now the chipping area – came into existence in 1932, the creation of Herbert Phillipson, and because it had a large tree in the middle, was for a long time known as Phillipson’s Folly” A lot of members may not realise that up until 1958 the club premises consisted of the original cricket pavilion and diners had the use of part of the Cochrane house, where a restaurant, kitchen and card room were situated. 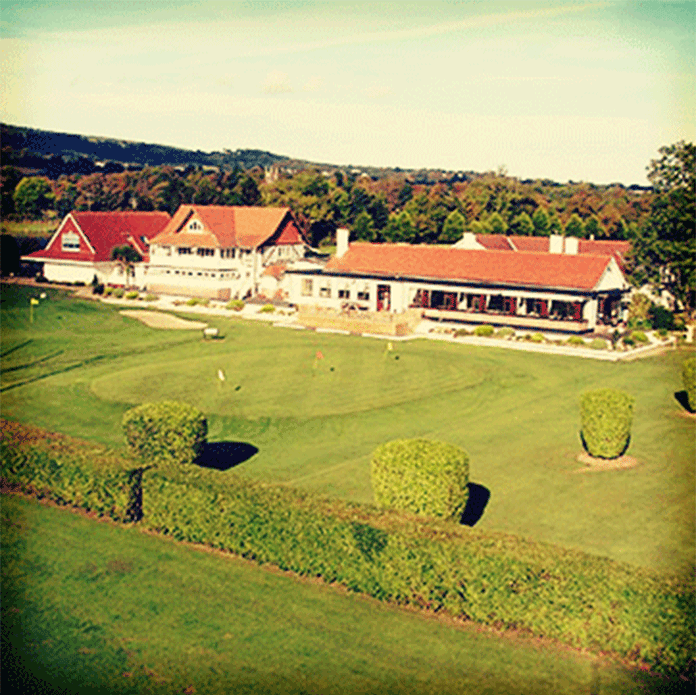 Under Jack Dolans Captaincy what is essentially the existing clubhouse building was erected in 1958, but of course there were some modifications over the years and in more recent times we had major renovation and additions following on the redesign of the course itself. The George Martin room is a wonderful addition to the clubhouse, as are the new extension housing the club professionals shop, accommodation for the Caddy master, Bag Room, and redesigned Locker Rooms for ladies, gentlemen and visitors. Overhead are modern offices for the club management and office staff. All this work and the building of eighteen new greens and tees and extensive redesign of bunkers and landscaping was made possible in the 1990s largely through the generosity of Mrs. Patricia Martin. 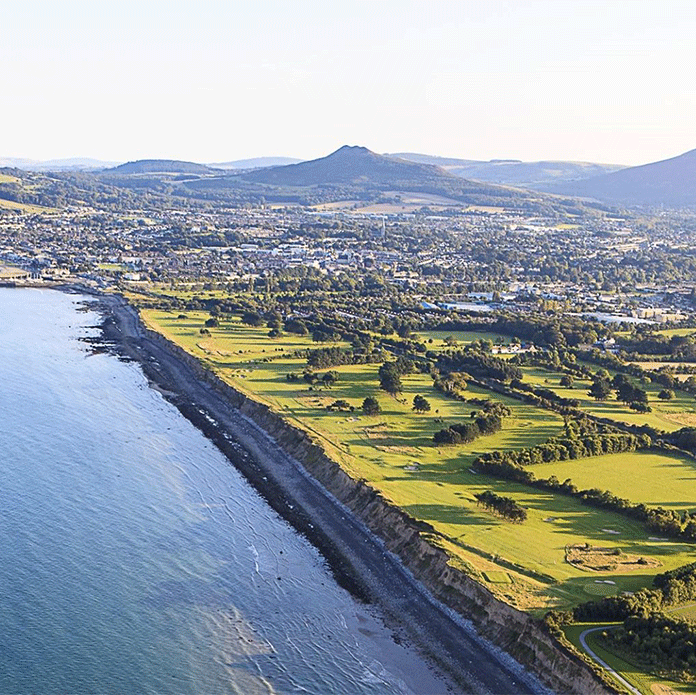 The redesign has allowed Woodbrook to resume its place among the top championship courses in the country, challenging low handicap golfers and attracting substantial green frees from visitors and societies. But most important, the course is again one that the membership can be proud of, one where good scores are hard to come by, and many a good card spoiled by one slip of the wrist – or the foot since spikes were outlawed!